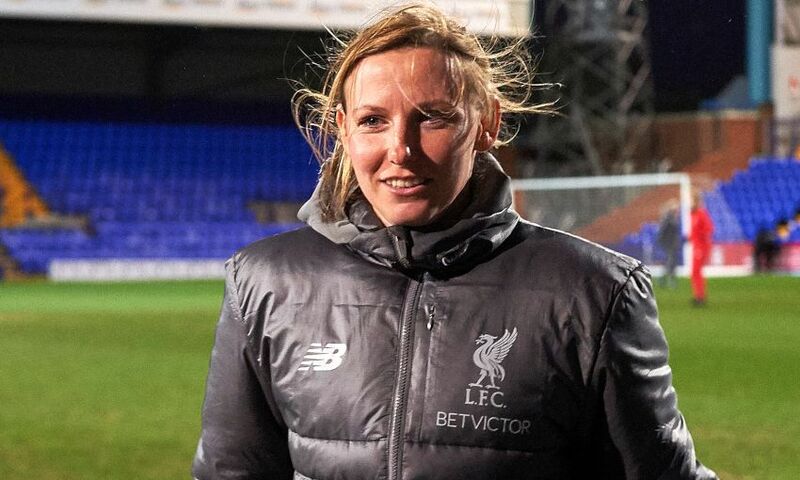 In her latest column, Liverpool FC Women manager Vicky Jepson reflects on a difficult run of fixtures and tells us why she is remaining positive ahead of Sunday’s home meeting with Women’s Super League leaders Arsenal. It would be fair to say we have had a tough past few games, but we were certainly under no illusions before it about facing two of the toughest teams in the Women’s Super League. 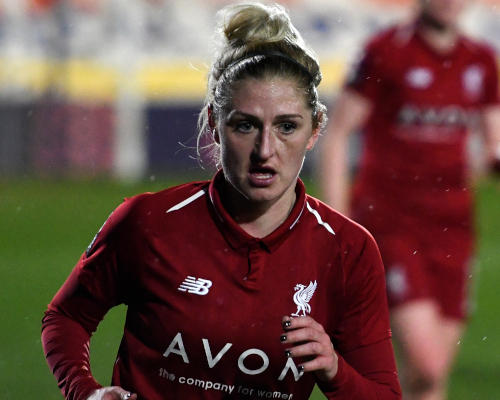 It was a disappointing night against Chelsea at Prenton Park but there were many positives for me to take from Sunday’s SSE Women’s FA Cup quarter-final loss at Manchester City. Our overall performance last Sunday is one I was really pleased with. We stuck to our game plan and when we looked back on the stats they were pretty good. We were really narrow and compact and didn’t allow them to play through us. We were in the game right up until the 68th minute when we gave away what was a disappointing second goal. I couldn’t have asked for any more from the girls than what they gave me on the day. Rinsola Babajide caused them problems and we could easily have gone 1-0 up which would have been fantastic for us, but the fact we got ourselves into that opportunity to get into the lead was pleasing. We were unlucky not to equalise after City scored and I’m pleased we did manage to create some decent chances. It was just a shame we couldn’t find the net when we did have those opportunities. On Sunday we face another stern test when we host Women’s Super League leaders Arsenal at Prenton Park. We know we are up against it again but what is really key now for us is we keep our heads and we remain positive. We have looked at things we could have done better against City and have been working on them this week on the training pitch. The big thing for us on Sunday is that we don’t give Vivianne Miedema time or space in and around our penalty area because she is the goal machine of this league. Arsenal are a very good team under Joe Montemurro but we have to stand up tall and still try and compete at our best as much as we can. We know we can rely on our fantastic supporters and they truly are the best fans in the league. Before we got on the coach to go to City we actually got our supporters to record messages for all of the girls and we showed them the video. It meant so much to our players because some of them will have experienced what loyal supporters we have here at Liverpool. There were a lot of City fans last Sunday but I could hear our supporters singing loudly throughout the game. I just know it gives the players that extra little boost to know they are supported no matter what. Our fans are also realistic to know that when we step out against the big three in Chelsea, Manchester City and Arsenal it is a big ask for our players, but there is no reason why we can’t get something out of these games - especially when we have these supporters behind us. We have five league games left this season and our next two are against Arsenal and Manchester City. Any points we can take from those two fixtures would be massive for us. After that we finish the season with matches against Bristol City, Birmingham City and Everton and we want to finish as high as we can in this league. We want to end the season on a real high so we can end the season with smiles. 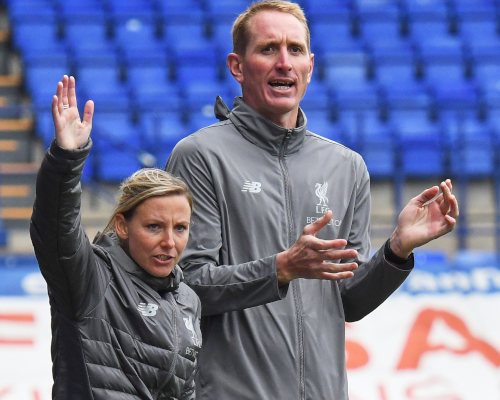 In the backroom staff we have had a change with Chris Kirkland stepping down from his role as assistant manager and goalkeeper coach. Chris will still be involved with the Women’s set-up, coaching our young goalkeepers in the development squad. Chris has been a big part of what we have been about and I want to thank him so much for the help and support he has given me, especially at the beginning of the season when we lost our manager. Chris has got a lot on at the moment with his own academy and other commitments and he just hasn’t got the time to give our first-team goalkeepers the quality of time that they need. He is still one of our very close friends and he will be missed, but he is still a big part of our family and we wish him all the best with the new adventures he has got lined up. Season ticket holders for Liverpool FC and Tranmere Rovers, as well as LFC Members, can gain free entrance to the Arsenal fixture.